Love Steps Forward is a stillbirthday-wide program to support your local stillbirthday doula, so that your local stillbirthday doula can then be financially capable to support your community in the ways that he or she is trained and certified to do. You might see it called Love Steps Forward, or Love Stamps, or Love Imprints – whichever works best for the stillbirthday doula, really is fine, but the purpose of the program is universal – to create opportunities for you to give – to give to your stillbirthday doula, and by so doing, giving to your community. A professional doula, who generally serves as an independent contractor, can reasonably and fairly charge an average of $500 or more (or, much more) per birth doula client. This provides a contractual responsibility of uninterrupted physical support (comfort measures, suggestions for labor positions) and emotional support (gentle explanations, clear guidance, honest validation) throughout the labor and the immediate postpartum. This investment is toward the doula’s tailored skill set, commitment to learning and her investment into certification, time away from family, supplies, travel/vehicle, scheduling and time commitment, and unique responsibilities that include mental alertness, emotional calm, physical agility, professional-level preparedness, and enduring stamina throughout any labor, birth and postpartum journey. This can also be determined by regional income. Stillbirthday certified doulas offer unsurpassed labor support in birth in any trimester, and in any outcome. Because the financial burden is sudden and great when facing pregnancy and infant loss, our doulas desire to lift that burden as reasonably as possible, providing when appropriate pro-bono support of families who are facing untoward outcomes, and leaning into fundraising opportunities, including the Love Steps Forward program. 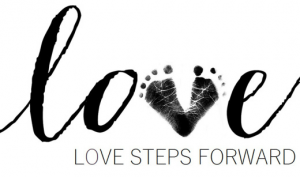 The Love Steps Forward program allows the moms we serve the comfort of knowing that their payment has already been filled, freeing them therefore of their own financial burden and instead allowing them the opportunity to pay it forward for the next family we serve. You can even add a handwritten or typed note to your gift of Love Steps Forward that your stillbirthday doula will provide you with. This program offers $5 per note, to encourage you to give greatly. It might be that you haven’t experienced pregnancy and infant loss yourself, but that you want to pay it forward on behalf of someone you love who has. Loved Ones can have your Love Step Forward on behalf of a mom in particular.